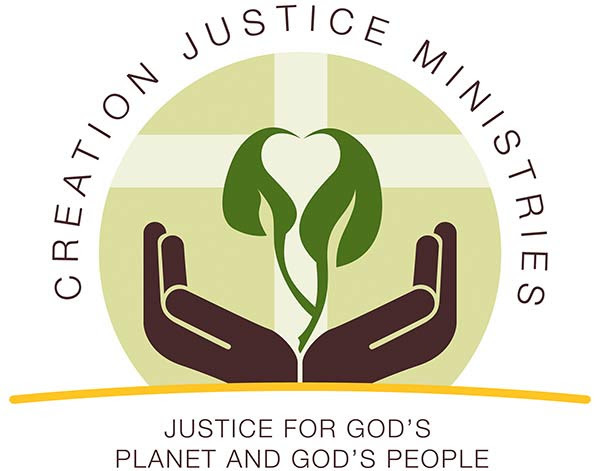 Creation Justice Ministries wants to help your congregation celebrate Earth Day Sunday this year with the resource, "Next Generation Rising." It is about how people of all ages are caring for God's earth today to ensure that it is liveable for our children, grandchildren, and beyond. Download the resource here. 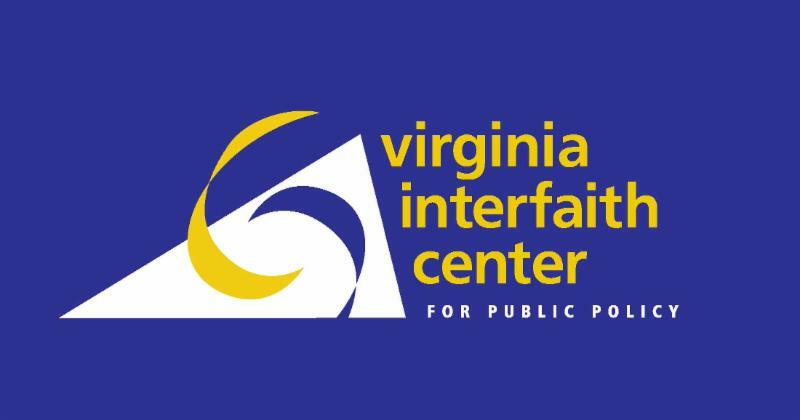 The Virginia Interfaith Center for Public Policy (VICPP), the ELCA Advocacy Office in Virginia, is planning to hold Legislative Reviews around the state to share what happened during this year's 2019 General Assembly session. Kim Bobo, Co-Executive Director of VICPP Amanda Silcox, Economic Justice Program Manager will present the program.  This is a great way to get involved and learn more about advocacy work that has been happening in your area, as well as to hear more about the results of these efforts! If you would like to arrange a recap for your community and you are not near one of the meeting locations, let the VICPP Office know and they will try and set one up. A Palestinian-American Lutheran pastor who made news as a political candidate in Brooklyn two years ago is the subject of an award-winning documentary film that will be shown at the Lyric Theater in Blacksburg on the afternoon of Saturday, April 27 . Admission is free and open to all. A conversation with the Rev. Khader El-Yateem , profiled in the film “Father K,” and a reception will follow the 3 PM showing. The presentation is co-sponsored by Luther Memorial Lutheran Church, The Well (Lutheran Campus Ministry at Virginia Tech), the Virginia Tech Department of History, and the Lyric Theater. For more information, contact Luther Memorial by calling 540-951-1000 or emailing luther@lmlc.org . 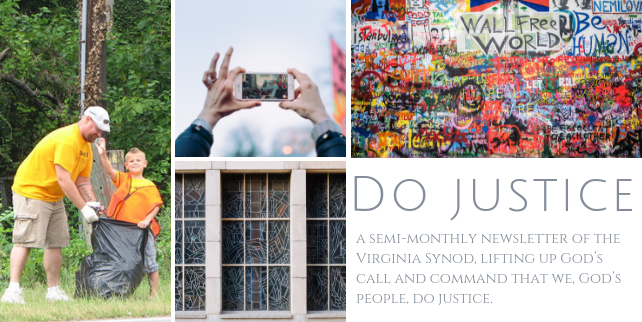 Authorized by this Synod’s congregations in 2003, Tapestry’s mission is to empower congregations in the Virginia Synod to be Ambassadors for Christ in matters of diversity and inclusion, walking with God, and guided by the Holy Spirit to bring healing, reconciliation, and justice. Tapestry provides resources, facilitates conversations, and fosters networking across the Synod in order to advocate for God’s desire to weave a rich and diverse Body of Christ! 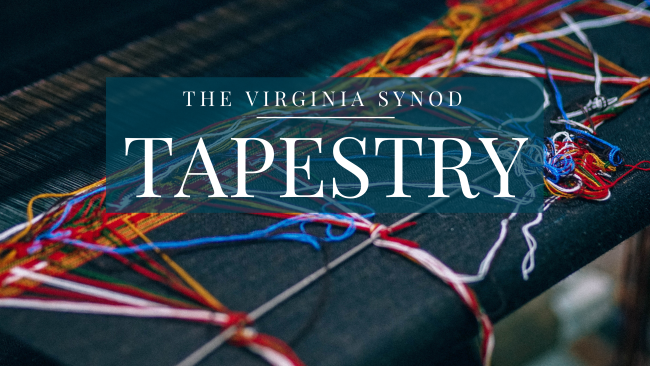 Several new resources have been added to the Tapestry page on the Virginia Synod site. To learn more about Tapestry, and to view resources, click here.